On Saturday, December 1st, Victoria residents can experience something virtually guaranteed to uplift and inspire. 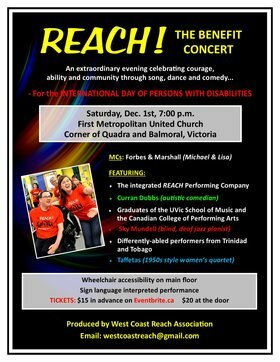 “REACH – The Benefit Concert” features a host of extraordinary “abled” and “differently-abled” performers in recognition of the International Day of Persons With Disabilities. “This will be an extraordinary evening celebrating courage, ability and community” says organizer Anne-Marie Brimacombe “with outstanding song, dance, spoken word and comedy numbers”. Victoria personalities Forbes and Marshall (Michael and Lisa) are looking forward to being MCs for the event. 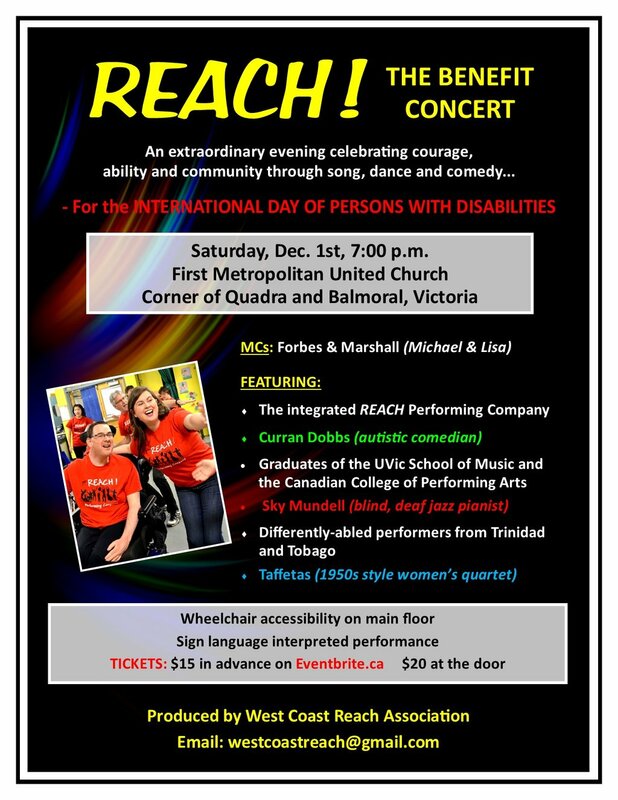 Featured performers include Victoria’s new, integrated Reach Performing Company, plus Sky Mundell (blind and deaf jazz pianist), Curran Dobbs (autistic comedian), and three differently-abled performers from the Caribbean. Also featured are graduates of the UVic School of Music and the Canadian College of Performing Arts, and a dynamic 1950’s-style young women’s quartet called Taffetas. Tickets ($15 in advance) can be obtained online on Eventbrite.CA by searching “Reach” in “Victoria”, or by contacting [email protected] Tickets at the door will be $20. 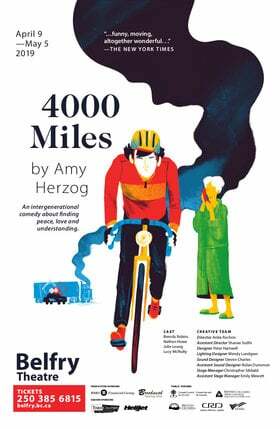 Proceeds from the show will benefit West Coast Reach Association (WCRA), a registered non-profit organization established to celebrate inclusion and diversity through the performing arts. In addition to its integrated REACH Performing Company, WCRA has partnered with Our Place in Victoria to create a community outreach choir. They also offer a special early-education music program for children of refugees and new immigrants at the Intercultural Association of Greater Victoria (ICA).